For their first major label release, modern day Canterbury heroes Syd Arthur have consolidated the gains made on their debut LP On an On, plus they’ve made some smart choices in terms of refining their musical vision. Overall, the songs are a bit more concise and less backward-looking though the band’s progressive and psych identity essentially remains intact. Guitarist/singer Liam Magill continues to charm with his idiosyncratic melodies that borrow more than a little from the jazz world. Mandolin/violin/synth player Raven Bush has shifted his attention toward modern electronics and string arrangements over the folky violin sound of the debut, although he still makes liberal use of his electric mandolin chops and is the featured soloist throughout. The band also have an uncanny knack for welding thoroughly modern-sounding grooves to warm and funky vocal and instrumental arrangements, perhaps best seen on “What’s Your Secret” where bassist Joel Magill and drummer Fred Rother operate with a maturity and single-minded purpose that you’d expect from much more seasoned players. There’s a live immediacy to the recordings, despite the greater use of electronics, which really comes to the fore on the folky “Backwardstepping.” Contrast that with the following song, “Chariots” that — with its instrumental coda “Singularity” — sounds cut from the same cloth as early Porcupine Tree. This is an album of dazzling breadth but forged from a collective will that is remarkable. 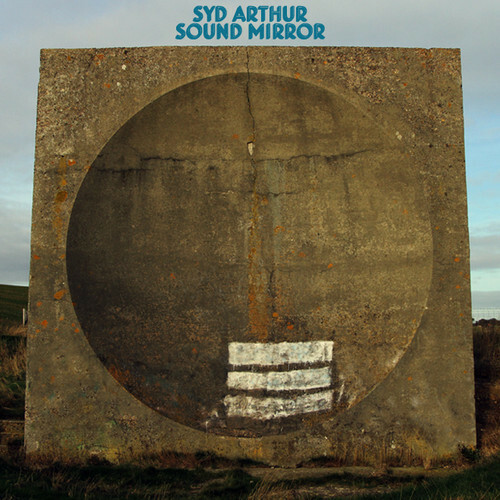 Syd Arthur are quite simply one of the best progressive bands operating today and it’s no wonder they’re moving up fast.